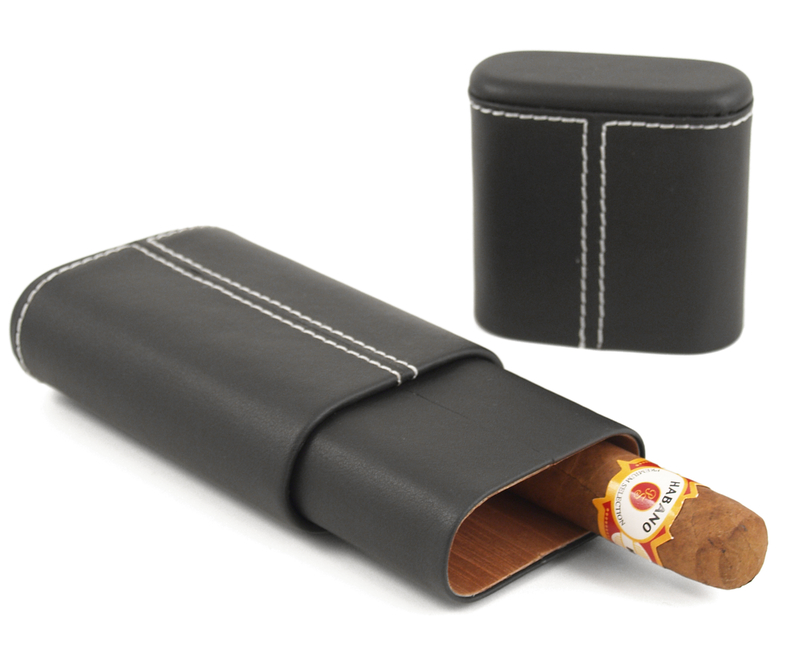 Our fabulous black leatherette cigar case will easily hold 3 cigars up to 54 ring gauge and expands to carry cigars up to 7". Attractive white stitching at top and bottom is also double stitched at seam on one side. Wonderful quality and cedar lined makes this an ideal home for you cigars. Get one today for yourself or as a gift (comes gift boxed)!